•We start by removing and marking all screens. •We hand wash each side of your respective screens with a soft bristle brush using a 100% safe, biodegradable liquid soap and set the screens aside to dry. •We begin cleaning the outside of your windows first, employing a soft strip washer and a very concentrated window washing solution that is 100% safe and biodegradable (we support going green...every little bit does help!). 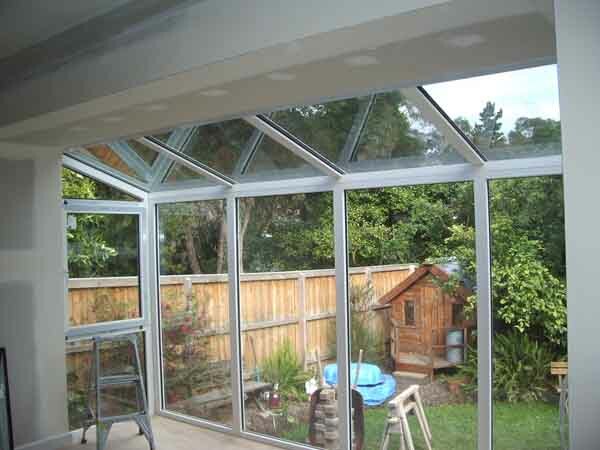 The solution we use will not only make your windows sparkle, but it will protect the glass from the harsh elements. •After thoroughly wetting the window again with our strip washer and solution, we squeegee the water off and towel dry all around the edges where water collects. •After the outside windows are done, we will then move our operation inside and repeat the process. •When we are inside, we clean your window tracks and window sills. •It is now time to put all of the clean screens back in place. •To wrap things up, we will proceed to walk around your home to double check the windows and put all of your furniture back where it was. 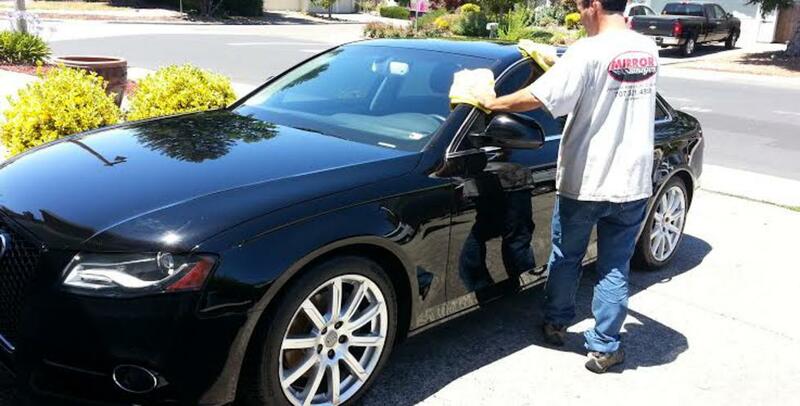 •Our technicians are highly trained to do a very detailed cleaning of your windows. In fact, they cannot leave your home until you are 100% satisfied! Mirror Images Home Care Services also provides reliable gutter cleaning service which will give you the piece of mind that your gutters are going to be properly cleaned and downspouts thoroughly flushed. All gutter debris is completely removed by hand and we always check downspouts to ensure proper drainage. All ladders used for your gutter cleaning services are equipped with ladder stabilizers which prevent gutter damage. The ladder will rest on the roof, not the gutter. 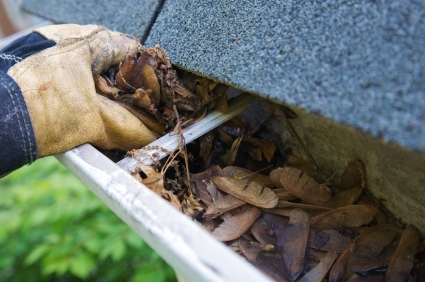 Mirror Images Home Care Services offers gutter maintenance plans, ensuring you year round protection and peace-of-mind that your gutters will remain debris free and flow properly. 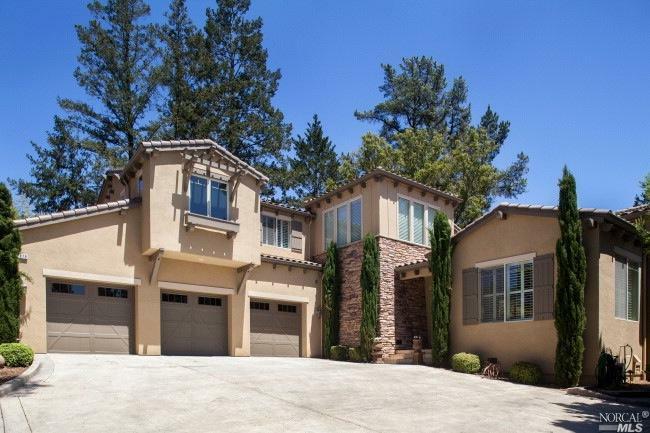 Downspouts and gutters should be professionally cleaned about twice annually. Once in the spring just before the spring rains. 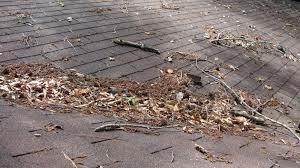 Then again around the fall when leaves, limbs and other debris might cause problems. Mirror Images Home Care Services is also able to establish a Preventative Maintenance Program where together we determine what your cleaning needs are, whether a fall and spring visit are going to be sufficient or if there is a need to service your gutters more frequently. 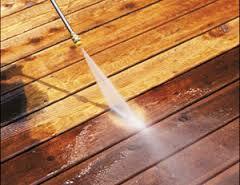 Accumulation of dirt and grime will weather any property over time. High traffic area’s have potential of becoming a “slip & fall” hazard when build-up occurs. In some instances, mold can grow, some of which can become harmful when not removed. 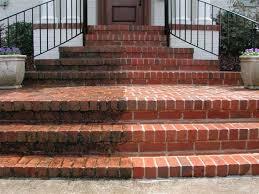 The overall appearance of your property is affected without regular maintenance but the original luster can be restored simply by power washing!! 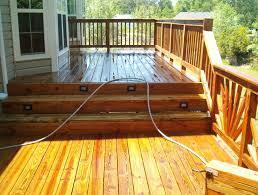 We offer various levels of Power Washing to suite your needs. From deep cleaning to simple washings. Appropriate water pressure is always used for each unique surface! You don't need to worry about your investments, our trained professionals will take care of your deck as if it were their own. 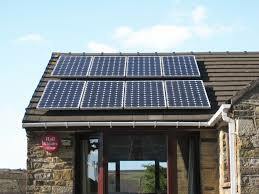 When efficiency matters,Mirror Images Home Care Services offers you a safe & cost effective way to ensure that your solar panels are functioning at the most optimum level of performance. 1. 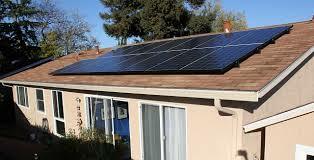 Solar Panel Manufactures require your panel to be clean to keep warranties valid. 2. Power Efficiency drops up to 40% with dust, grime and bird droppings. For a free estimate contact us today and our friendly office staff will make an appointment that is convenient to your schedule. 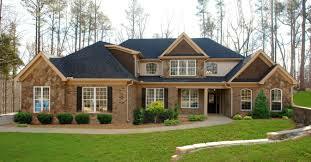 Most residential estimates can be given with just a phone call.